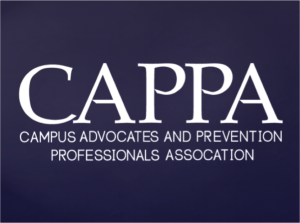 A new group of prevention educators and campus advocates have formed a new national organization, the Campus Advocates and Prevention Professionals Association (CAPPA) that is dedicated to provide a national platform for to engage, discuss and advance evidence-based strategies to reduce violence and support survivors. 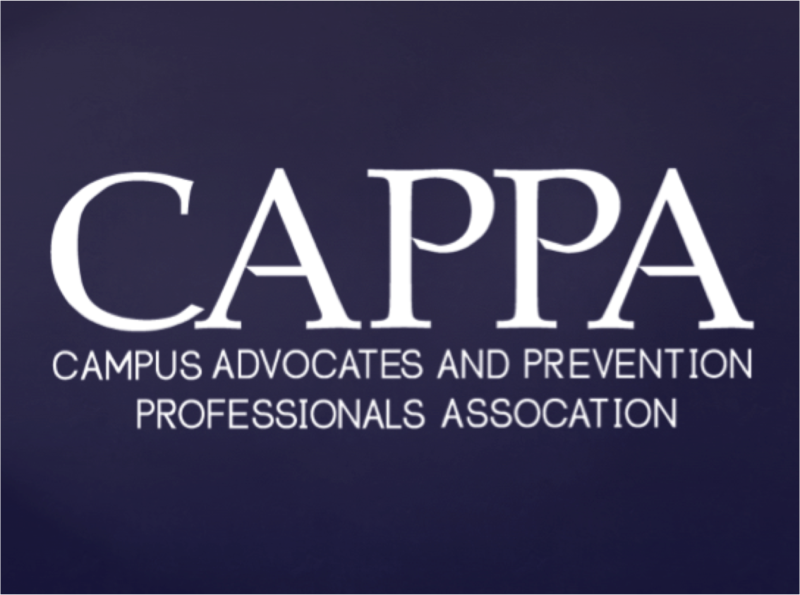 CAPPA is lead by a 17 member founding leadership council that includes many of the leading sexual and domestic violence prevention practitioners on college campuses, including many who have been featured in PreventConnect web conferences and podcasts. As sexual violence on college campuses continue to draw national attention through ongoing student activism, films like The Hunting Ground (one of the student activists featured in that film, Kamilah Willingham, will be a keynote speaker at the National Sexual Assault Conference next week), books like Missoula, and legislative action in Congress and state legislatures, the development of organizations such as CAPPA to support the work to prevent violence is essential. PreventConnect is dedicated to increasing its support for campus-based prevention work. Earlier this year, PreventConnect staff presented at the Centers for Disease Control and Prevention’s Think Tank on Sexual Violence Prevention on College and University Campuses, CDC’s Action Planning on Campus Sexual Violence Prevention meeting, the National Association of Student Affairs Professional’s (NASPA) violence prevention conference, and Safe States Alliance Annual Meeting. I will be leading workshops on prevention efforts at the upcoming ATIXA/SCOPE Joint National Conference in Philadelphia, PA, in October and American Public Health Association Annual Meeting in Chicago, IL, in November. In Fall 2015, PreventConnect will begin PreventConnect Campus – a series of web conferences dedicated to addressing the prevention of sexual violence, domestic violence and dating violence on college campuses. The audience will consist of prevention practitioners who are based on college campuses or partner with college campuses. PreventConnect will coordinate with groups such as CAPPA to develop web conferences to complement their work and advance the conversation about prevention. For more information about CAPPA, please visit their web site, like on Facebook or follow on Twitter.